Proof of care taken while doing the set up. 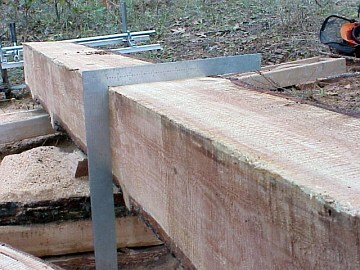 Now we have two good surfaces from which to mill cuts 3 and 4. IF you off at all you can make cuts 3 and 4 using the guide to adjust for error. After a while you get good at it and it takes less time.